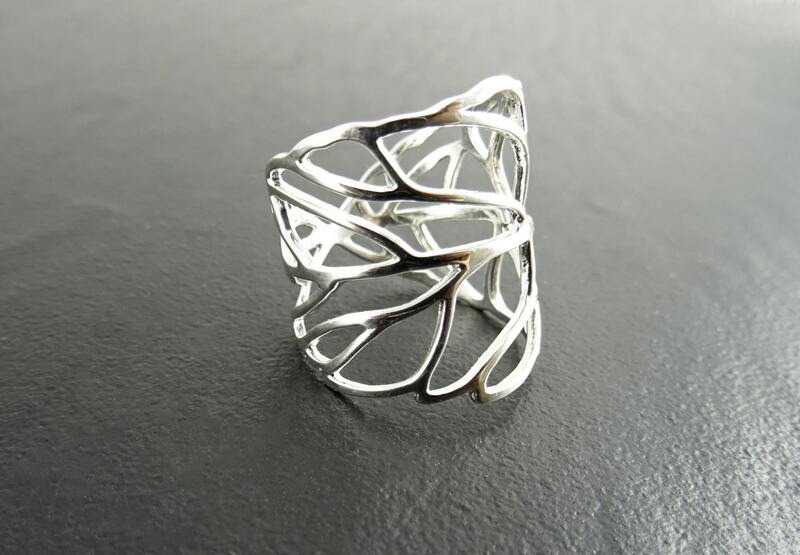 Wide Leaf Veins ring. 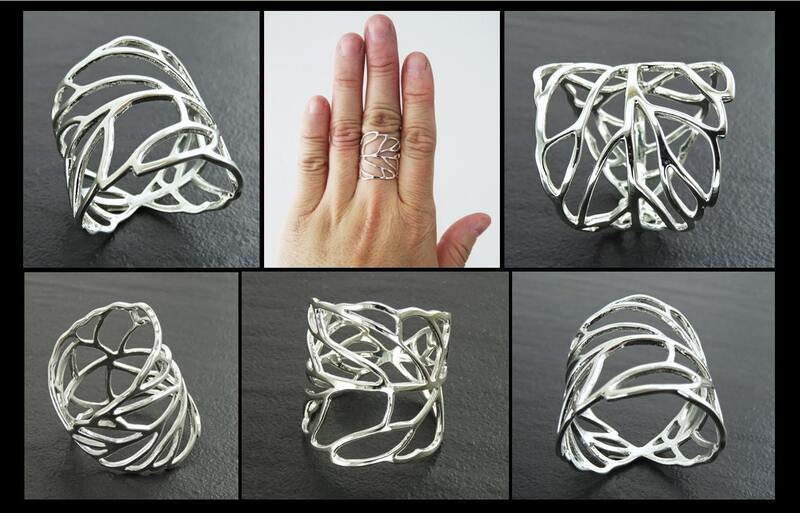 Handmade in Sterling Silver. 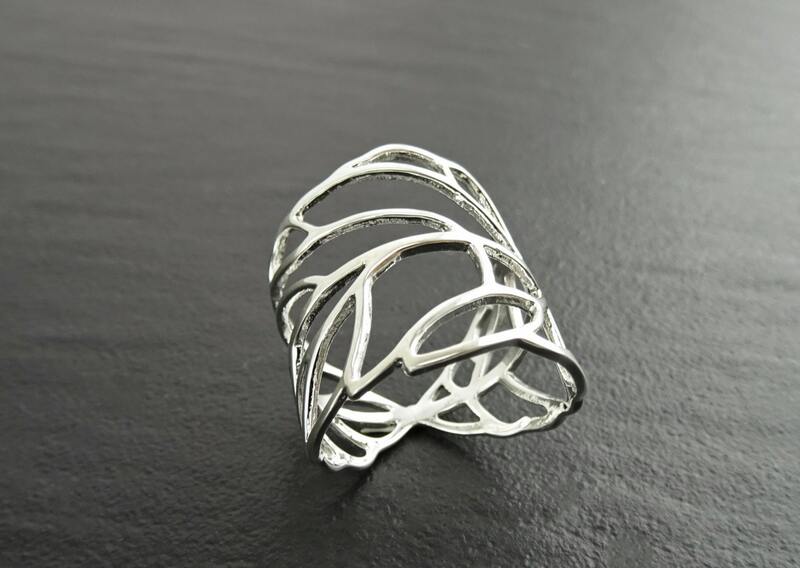 This wide ring looks amazing on any finger! 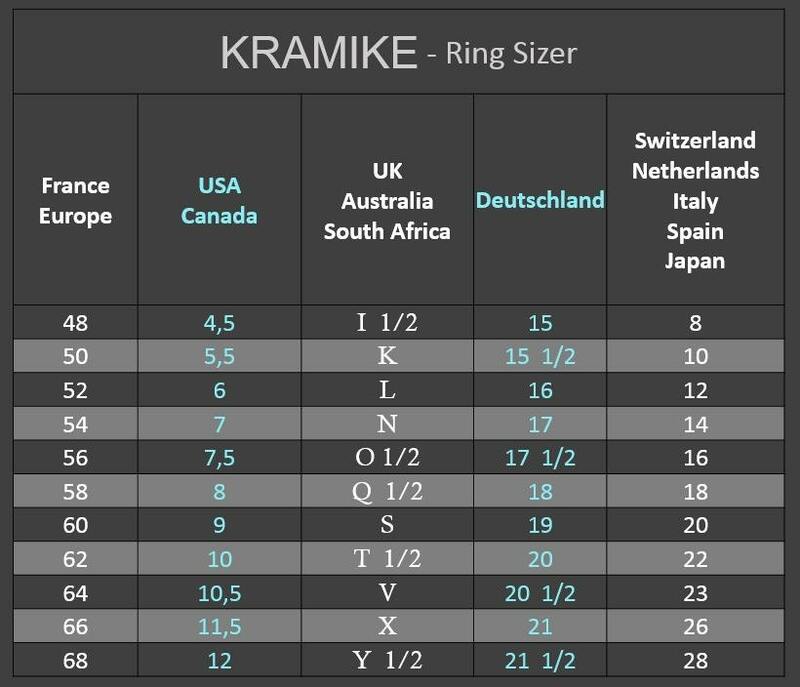 *This ring is wide so it will fit tighter, order a full size larger then what you would normally wear. The ring is beautiful!!! Love it!!! Trés bonne, bijoux de qualité.Vendeur sérieux.Envoi rapide. SUPER! 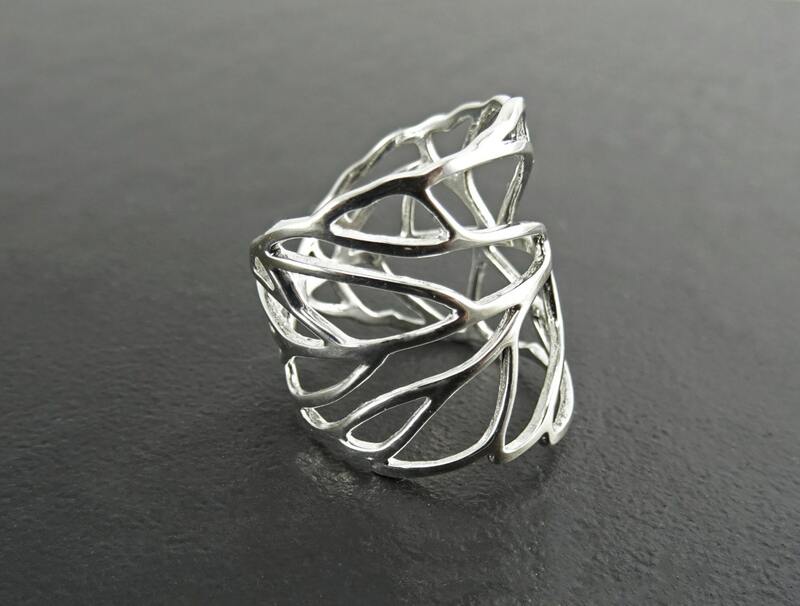 A friend of mine had the perfect word for this ring: exquisite. It's an absolutely breathtaking ring. I was afraid the leaf veins would be very delicate and flimsy and easily bendable. I was delightfully wrong! It's sturdy enough to withstand my hard-working hands but still delicate enough to be lovely. Thank you so much! I will definitely be ordering again!